Logitech was not into home appliances yet, but it’s moving forth to change it. Earlier this morning the giant announced four new devices that every smart home should have. The devices include a Logitech Harmony Home Hub (central access point), a protocol extender for the hub, a pair of smart remotes, Logitech Harmony Ultimate Home and Logitech Harmony Ultimate Control, which is capable of operating anything that is connected to the hub. The devices are expected to launch by the end of this month. The Harmony Home Hub is equipped with IR, Bluetooth and WiFi connectivity solutions so that it can communicate with a more full range of devices. The Extender hub, which will be out in the market later this year, will include Z-wave and ZigBee compatibility to help it connect and control a yet wider range of smart home devices. Logitech has already signed a deal with Honeywell, Kwikset, Nest, SmartThings, Philips and many more for the Harmony Home Setup, as reported, and the devices will be able to communicate with around 270,000 devices right out of the box. The company, in order to enhance the list of compatible devices, has introduced the Harmony Developer Program. With Harmony’s highly customizable presets, you can control anything from dimming the lights and closing the shades, to playing your favorite music, it is just a touch apart. With highly customizable ‘Harmony activities’ you can link presets together and schedule them when to happen with a press of a button. 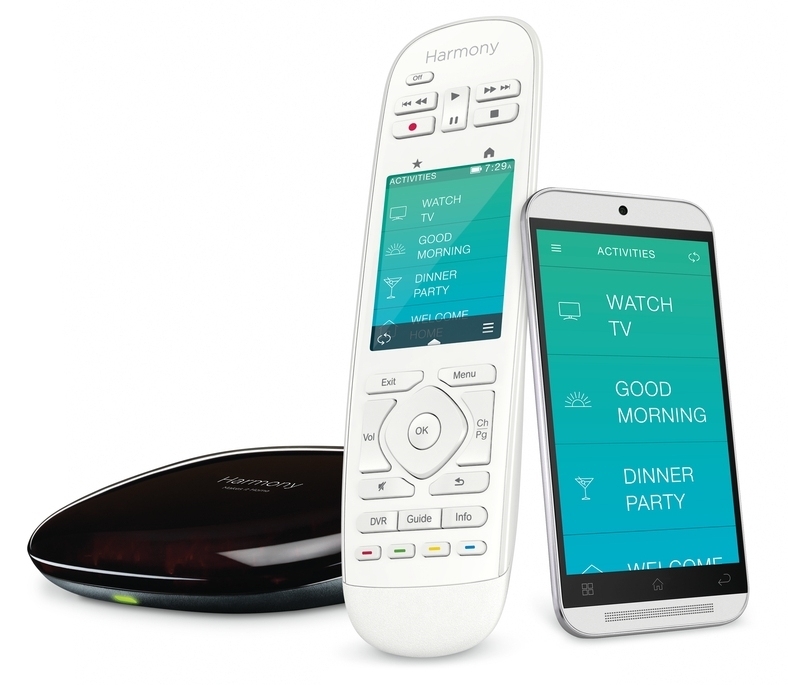 The company is already taking pre-orders for Logitech Harmony hub, the Logitech Harmony ultimate remote and the Logitech Harmony home control remote/app. Though ZigBee and Z-wave extender aren’t available yet but it’s scheduled to arrive in early 2015. Meanwhile, you can check everything about the Logitech Harmony on the Logitech website.